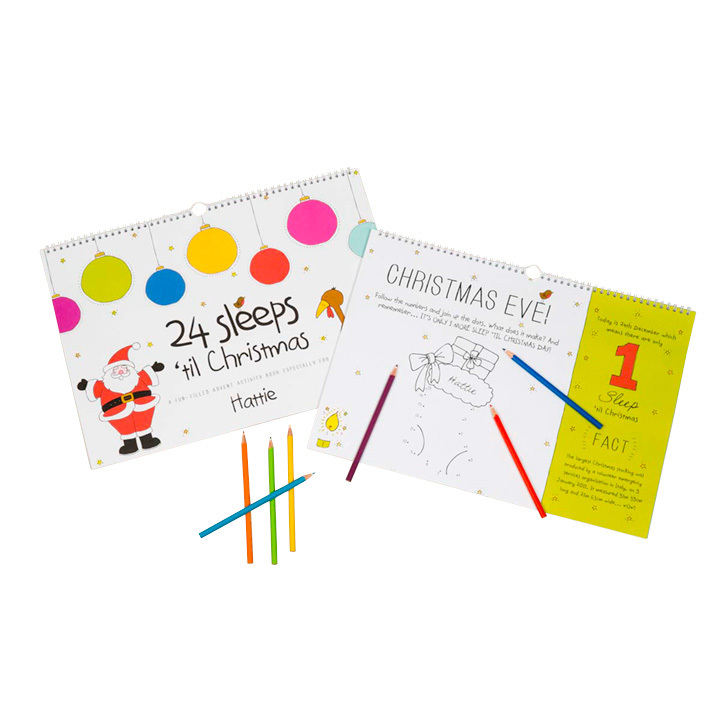 24 sleeps is a fun way to count down to christmas, full of activities in a calendar format. Personalisation: name up to 10 letters and message up to 80 letters (2 lines of 40 characters per line max.). Please allow 21 days for delivery.